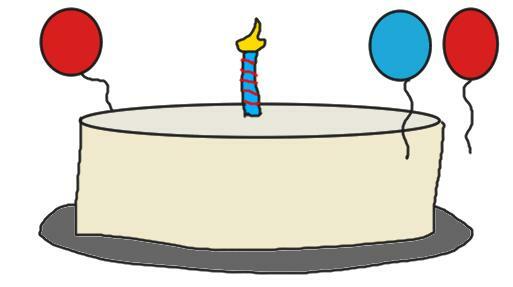 The theme for today is birthdays.. and no its not this blog’s birthday, that’s sometime in April I think (sorry, blog! I’ll look it up and remember it forever, I promise). Thanks to Facebook, we don’t have to keep track of these dates anymore, these super special dates that show us that we were born. They are proof that we didn’t just magically appear one day, proof that we made our mothers fat for a while, and that we made some people very happy when we popped out of .. uh, a stork’s cloth packaging (for us young readers out there). Facebook has messed up before, and has shown me birthdays that don’t exist. And also, some people just get lonely and decide to change their birthdays in order to get a bunch of messages. I always like to double check to see if other people are wishing them happy birthday, because as we all know.. wishing it on the wrong day is embarrassing. Have you ever had a full conversation with someone, left them, came back and acted as if everything was normal, only later to realize that it is his or her birthday? Usually someone comes in and says “Happy birthday!” to that person and your face changes immediately to the equivalent of when your own fart wakes you up –surprised and hoping no one noticed. -“Hey when’s your birthday?” “October something, you?” “Its today!” –BAM! -“I FEEL OLD!” “Why?” –BAM! -“Hey look what I got for my birthday!” “Wow.. when was it?” –BAM! -Or you could wear that Disneyland button all day, or a T-shirt tagged up with a Sharpie. Reacting properly to the birthday wish. Awkward. Knowing what to say when you get a nice gift or a card. The gifter looks right at your face to see your expression, and well you guys might be great actors, but I’m not.. if I got a sock, I’ll be confused. But they’re fun, besides, it only happens once a year.. right? Yes! It is my birthday today! Thank you guys for keeping up with my rants and stories on here, and thanks for your awesome posts on your own blogs and for your comments, they really make my days better. For you guys following by email, thank you.. and start a blog! But without further to say, I’m off to have an awesome day –and you should too! "I always like to double check to see if other people are wishing them happy birthday, because as we all know.. wishing it on the wrong day is embarrassing." — Happens with me all the time! I once got invited to a friend's birthday party. I went there and just when I was having a good time, the friend came up to me and said, "You didn't wish me." Now I'll leave the rest for you to imagine. And no, I DON'T usually do that. Now that’s plain awkward. Your friend actually coming up to you an saying that haha.. whoops! I did! Thank you very much! 🙂 and yes..
Oh I missed your birthday! Awkward! 😉 Hope it was a good one, happy belated. Holy cow, it was your birthday? Happy Zombie Survival, or some such thing. Yours is just a few days after mine. ^^ hope you had a good one. You’re also a July baby? Heck yeah!